Brown’s Collision and Brown’s Collision & Coachworks is family-owned and operated and has been providing the Fulton/Montgomery counties and surrounding Capital Region communities automotive repair needs for over half a century! As a third-generation family-owned business, you will experience the difference from the first point of contact throughout your entire automotive experience. 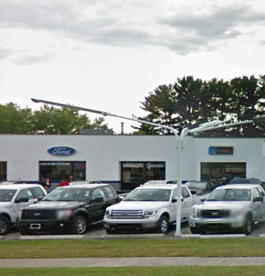 Our Amsterdam location encompasses a 16,000-square foot, state-of-the-art collision repair shop equipped to service all makes and models of cars, trucks, SUV’s. 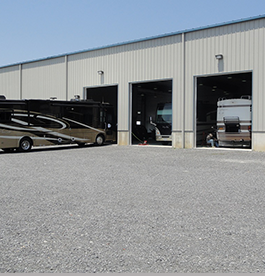 We even offer motorcoach, buses and commercial truck repairs at our Amsterdam location. Our Johnstown location offers repair services on all foreign and domestic make and model cars, trucks, and SUVs. repairing passenger cars to trucks, motorcoaches, RV’s, buses, commercial vehicles and more. community. Our staff is here to welcome you and ensure you are treated like family. We will take care of everything from working with your insurance company to arranging a rental car so your daily routine is not interrupted while your auto repairs are underway. You can trust the experienced team at Brown’s Collision and Brown’s Collision & Coachworks to work with you and your insurance provider to make the repair process as simple as possible. Our reputation is your guarantee of quality and complete satisfaction.